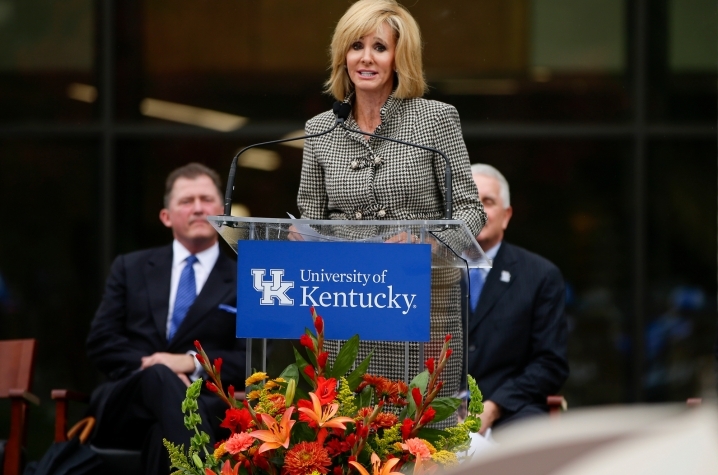 LEXINGTON, Ky. (Oct. 20, 2016) — Today, members of the University of Kentucky community, the Board of Trustees, and public officials formally dedicated the new Don & Cathy Jacobs Science Building, commemorating an unprecedented partnership in higher education between the university, UK Athletics, and community donors. 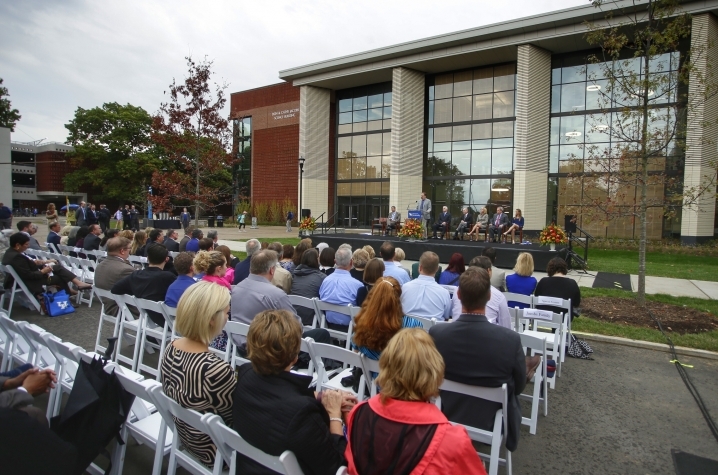 The 240,000 square-foot, $112 million facility, now considered the epicenter of the university’s scientific community, was made possible with funding of $65 million from UK Athletics and $10 million from The Don Jacobs Sr. Charitable Foundation. Capilouto and UK Athletics Director Mitch Barnhart announced the collaboration to fund a new science building three years ago. As part of a series of strategic initiatives to improve the university, this partnership was unlike any other in higher education — a major, self-sustaining athletics program funding nearly two-thirds of a more than $100 million academic science building. 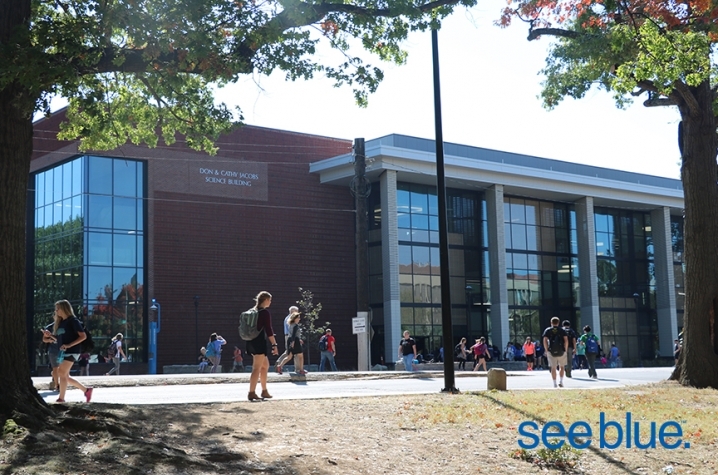 Named for the late Don Jacobs and his wife Cathy, the building opened in August on the corner of Rose Street and Huguelet Drive and is home to the largest active learning space on campus. It includes state-of-the-art laboratories, advanced lecture halls, technology enabled active learning (TEAL) classrooms, outdoor teaching spaces and interior green space. 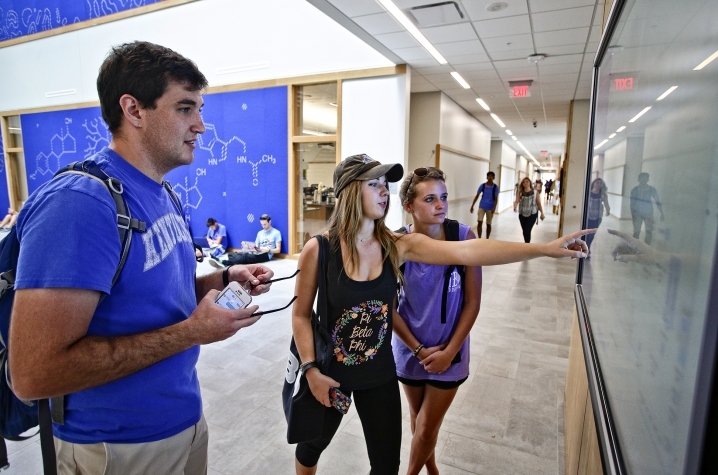 Every science student on campus, and the vast majority of all undergraduates, will take courses or have the opportunity to conduct research in the Jacobs Science Building. 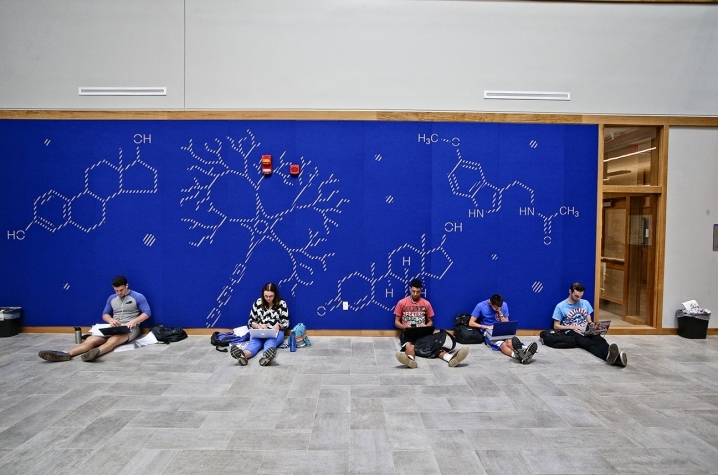 The Jacobs Science Building, which was contracted by the Messer construction team, JRA Architects, and Payette, is part of a major campus transformation initiated in the last five years under the leadership of Capilouto and the Board of Trustees that includes classrooms, research space, residence halls, dining and athletics facilities. 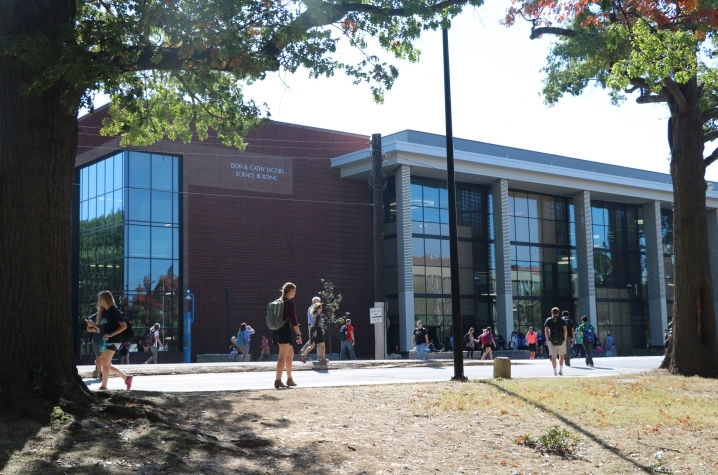 More than 90 percent of that transformation is being financed with university resources or private giving.